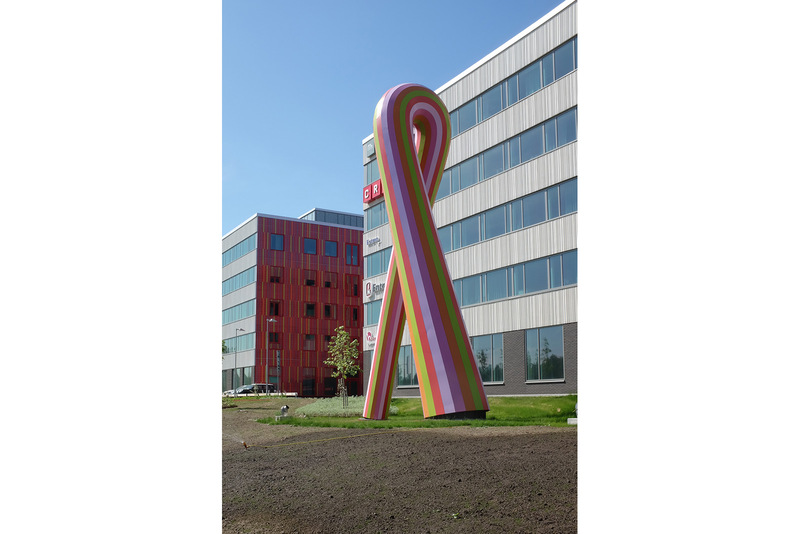 The 13-meter sculpture was erected between an office building and the directly contiguous highway. 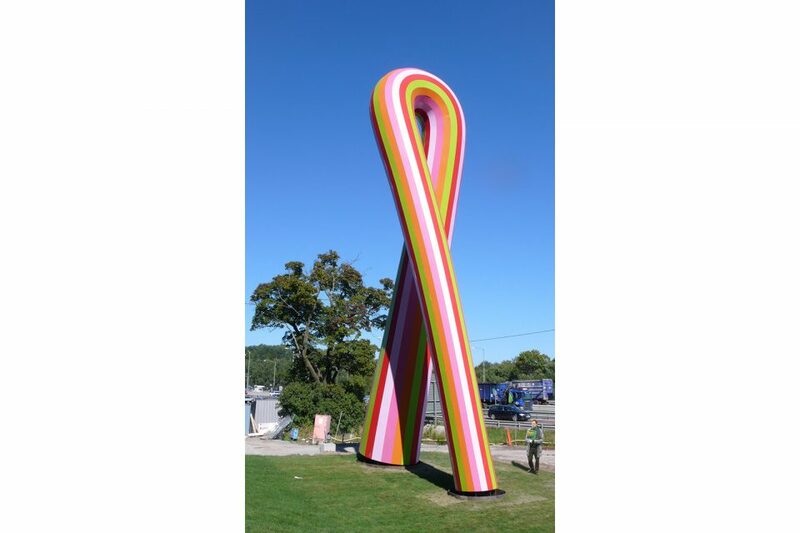 It resembles a large, twisted arc and oscillates between abstraction and the anthropomorphic suggestion of huge, striding pair of pants. The colorful stripes reinforce this association and simultaneously create a direct connection to the building, since the sculpture is in the same colors as the building’s tiled front walls. Dandy thus makes explicit reference to the building and seems to have originated in it. 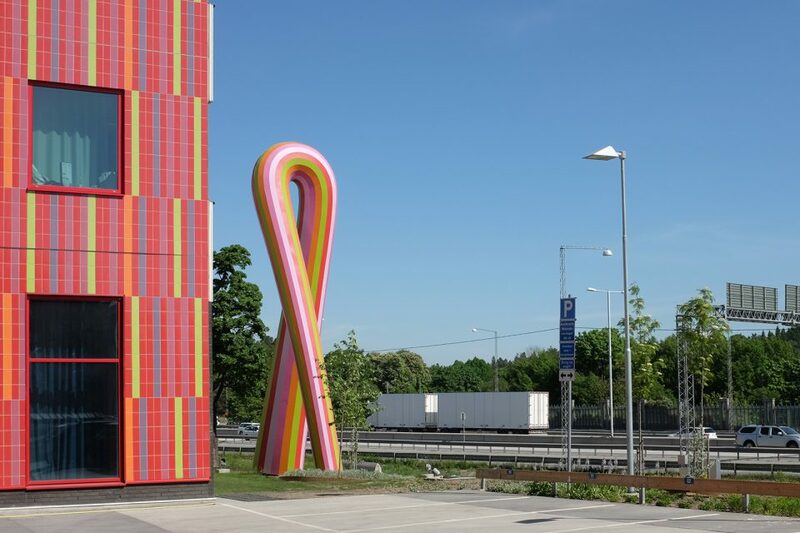 When one drives past, the sculpture constantly changes form and seems to be in motion itself. 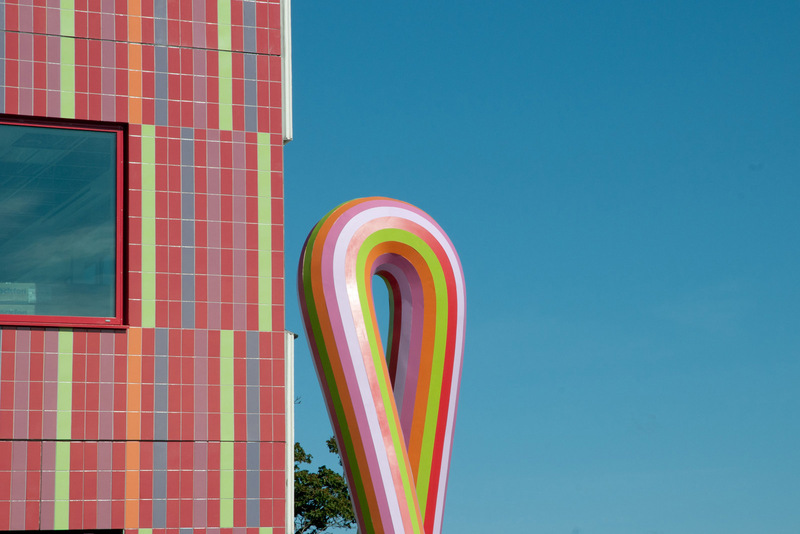 The coloration and the stripes take up fundamental components of the architecture and transpose them to a solitary sculpture that mediates autonomously and humorously between the building’s users and the roaring traffic. Like a dandy out for a stroll, the sculpture lends the site an unmistakable identity that gives it an emblematic stamp beyond its pure functionality.